*** NOTE: Because WBCR is a small organization with few volunteers, we only adopt to families in Wyoming, Colorado, and immediately surrounding states. 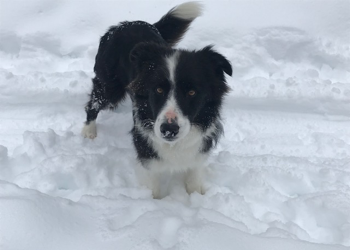 Thank you for your interest in a rescued Border Collie! Please review the application process below before submitting your application. Please remember that every person working with WBCR is a volunteer, doing rescue in his/her “spare” time, so the first part of our adoption process (our reference checks and home visit) can take 2-3 weeks or longer depending on the dogs in our program. If you’re unwilling to wait that long, we hope that you’ll consider adopting a shelter dog in need, where the wait is much shorter. 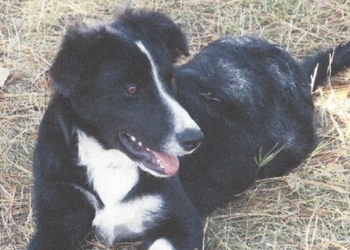 If you’re considering/looking for your first Border Collie, please do your homework FIRST! 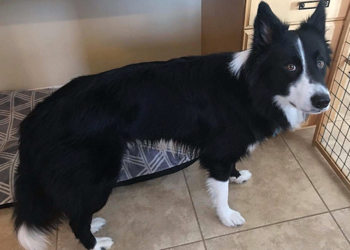 While we think Border Collies are the greatest dogs on the planet, we equally believe that they’re not the dog for everyone. 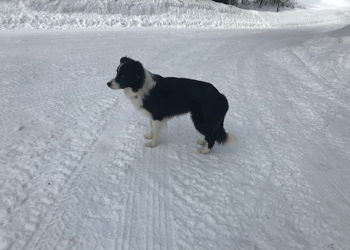 Please read our “About BC’s” page to begin learning more about Border Collies, their temperaments, needs and whether a BC is the right dog for you. Please answer all questions completely; incomplete applications will not be processed. Our initial review of your completed application will help us decide whether we may have a dog for you. 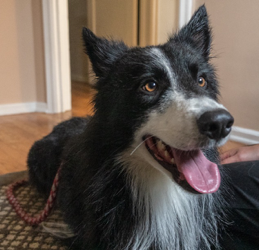 We know our application is long and detailed, but this information is very important to help us determine if you might be an ideal home for a certain dog in the program. The more information you give us, the easier it will be to do that. Please remember that our top priority is to serve the dogs, and to find the most suitable home for each of the dogs in our rescue. 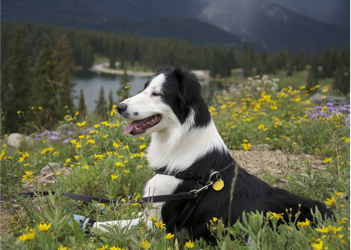 While we enjoy meeting border collie loving applicants, the interests of the dog come first. We don’t have many dogs in our program, which means a waiting game for many qualified applicants. Once we receive and review your completed application, it’s assigned to a volunteer for reference checks – we will call the references listed on your application, so you’re welcome to let them know that we’ll be contacting them. This initial step typically takes 1-2 weeks, so please be patient! Once the reference checks are complete & approved, a WBCR volunteer will contact you to schedule a home visit. This is an informal chance for us to get to know you, your lifestyle, home environment and determine which dog(s) in our program might be a great fit. 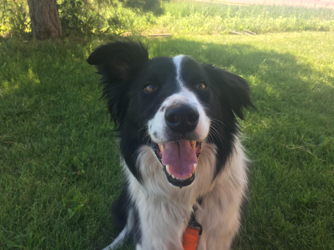 The HV volunteer will discuss what personality traits you’re looking for as well as general breed traits and what to expect when bringing a Border Collie home. He/she will also do a short walk-through of your home and yard to ensure its safety and to advise on any areas of concern. All household members must be present for the home visit. Please understand that the HV volunteer may not personally know any/many of the dogs in our program so may be unable to answer questions about specific dogs. Once the HV report is received by WBCR, it may take a few days for us to collate & review all of the information and get back in touch with you. Once an application is processed and approved, now comes the fun part! While it’s easy to fall in love with a picture, it is the dog’s personality & temperament that determine whether it may make a great match for you. During the matching process, a WBCR adoption coordinator will contact you to discuss specific dogs within our rescue. 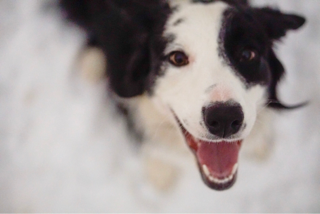 We strongly encourage applicants to write down questions they may have about Border Collies, and discuss these questions with the assigned coordinator. We work hard to match your desires with the traits and personalities of our dogs. Please understand that we only want what is best for our dogs, so if we don’t think a specific dog is a good fit for you, we’re not passing judgment on you/your family but are drawing on years of experience with Border Collies, and, more importantly, experience with the dogs in our program. “First Come First Served” doesn’t apply here as we match each dog in our program with the most appropriate home for him/her, whether that home comes next week or next year! Once we’ve talked with you on which dogs might be a suitable fit, it is time to set up a meet/meets! Your adoption coordinator will facilitate arranging a meet with your household members, your current dog(s) and the rescued dog. We have experience introducing new dogs, so will help with the introductions of your dog to the rescued dog if applicable. 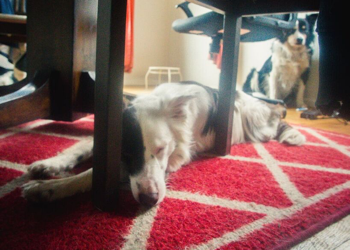 During the meet, keep in mind that rescued Border Collies may be rather aloof/timid at first meeting. 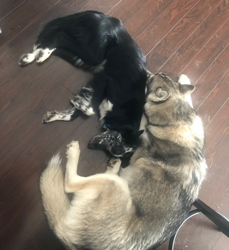 While we have seen many meets where there is an “insta-bond” between the new dog and the adopter(s), many times that kind of bonding takes time. The meet is a great time to get any/all questions answered on the dog’s temperament, likes/dislikes, and what will be helpful in establishing a wonderful relationship with your new dog! If both you and the WBCR representative feel the dog is a great match for you, the adoption may be completed after the meet. An adoption contract must be completed, signed and the adoption fee paid to complete the adoption. Please review our contract before your meet; it is available on our website or by clicking here. Please note that if at any time during your rescued dog’s life you cannot/no longer wish to keep it, he or she is required to be returned to WBCR. To ensure a successful adoption, we have a network of volunteers happy to answer any questions/help you work through issues that may arise while your new dog is transitioning into your home, or ten years down the road! We are committed to each and every dog we rescue for the rest of his/her life, so please stay in touch with us. Plus, we love getting updates! This flashy red headed split face is Aurora, but she’s not just a pretty face – she has the personality to match her looks! Just a couple years old, Aurora is brimming with character and is a drive-y, bright, high energy girl. Aurora came to us from Idaho as an owner surrender with her litter, the Z pups, as well as Finn, son from an earlier litter, and her mate, Oakley.It took her a little while to regain her health and strength, but she is now feeling good and ready for a home of her own! Despite her sheltered past, Aurora is a pretty confident girl, and after an initial bark, enjoys meeting new people. She has lived with a handful of other dogs in her former home and gets along with the male dog in her foster home, too. Given that she is a strong female, she will not be placed in a home with other female dogs. 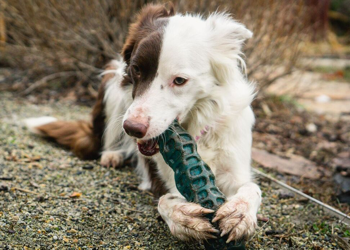 This lively girl really enjoys playing with other dogs, but her first love is playing fetch. 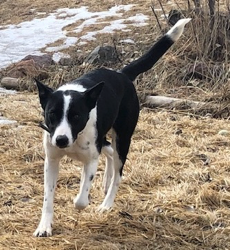 She shows some herdyness as well as some resource guarding with her toys around other dogs – this will need to be addressed in an adoptive home if she lives with other dogs. How she does with cats is unknown. Aurora is a pretty high energy girl who will need an hour or more of vigorous exercise daily to be at her best. She has great potential as a dog sport candidate or active outdoor companion. Although Aurora lived with a family and did interact with people, she arrived with few skills. She is now crate trained, almost housetrained, and working on basic manners. 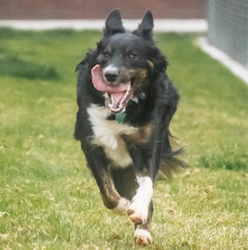 She’s a quick learner and will thrive with adopters who will continue to work with her as well as set fair and consistent rules and boundaries – she can be a lot of dog! She didn’t see or get out much in her former life and will benefit from additional remedial socializing at a slow steady pace to show her the world and all it has to offer is a great place. 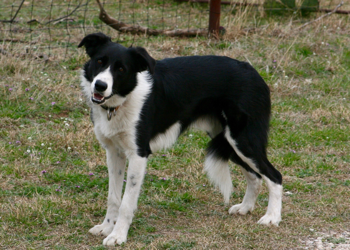 All in all, Aurora is the full Border Collie package – bright, driven, and enthusiastic! 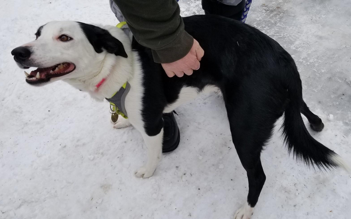 If you are looking for a flashy little girl oozing with potential, and understand how to rein a dog in but also build confidence, Aurora may be the one for you. Britta is a young classic rough coat tricolored female who came to us with her mom from a rough situation in central Wyoming. And she was full of surprises! She quite unexpectedly gave birth to 5 puppies shortly after arriving. 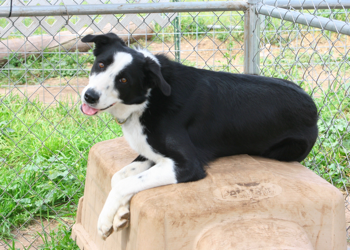 Britta is a confident and outgoing girl who enjoys people and is living peaceably with other dogs and cats, too. 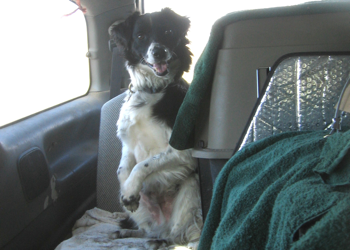 She can be quite intense and drive-y and will do best in a home with purebred BC experience. More info coming soon. Meet Charlie! 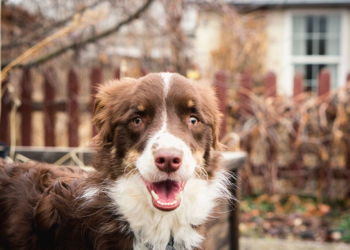 This pup is just an adorable lively, bright little BC. 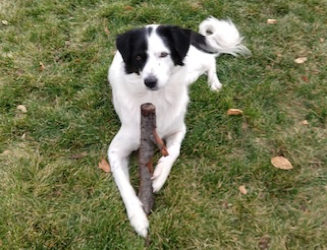 She came to us from a Utah shelter, where had been surrendered. She was absolutely terrified at the shelter but happily jumped right into life in foster care and is proving to be a delightful pup. Charlie is a sweet girl with her people. 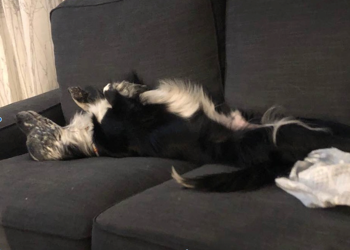 Like many BCs, she can take a bit to warm up to strangers depending on how she is introduced but is quickly gaining confidence and experience in her foster home. Although she lived with kids in the past, Charlie was surrendered for having trouble with visiting children in her former home, so is not a candidate for homes with children. 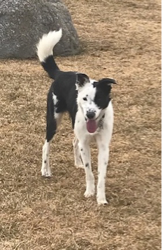 She is quite a fetch-head and enjoys playing fetch along with my dogs and understands which frisbee or ball is hers and how to take turns, which is great. She LOVES tennis balls. She’s pretty confident out in the world and loves going for walks and runs. 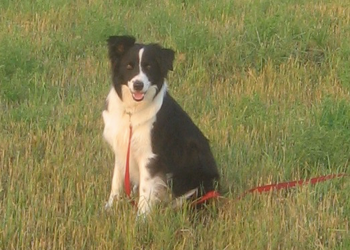 She could be a be a wonderful outdoor adventure companion or dog sport candidate. Charlie gets along with other dogs, but isn’t particularly playful with the two male BCs in her foster home. That being said, she likes having them around, so we think she could do well in a household as the only pup or with other agreeable canines. 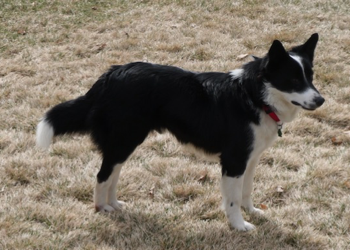 Her herding instinct test is happening this weekend, so we’ll know more about that in the near future. She may be able to live with dog-savvy cats. Charlie is a pretty high energy girl who will need a good chunk of physical exercise daily – an hour or more of vigorous activity – to be at her best. Charlie lived indoors with her former family and it shows. She is house trained and crate trained and goes straight to her kennel at mealtime! She’s also familiar with the basic manners. She does well off a leash when playing fetch. She is great in the car as long as she can sit/lay on a seat/something soft. Her foster family continues to work with her and she is proving to be a bright kiddo! Charlie will need just a bit more attention to her education and confidence building but she’s definitely got a great foundation already. 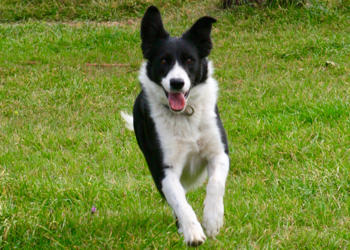 Charlie is a lovely little lass and has so many of the traits that Border Collie lovers enjoy. If you are looking for a lively and bright girl to join you on all your adventures, Charlie may be the one for you! This classic boy is Cooper. He came from a tough situation, but is doing his best to roll with the punches. 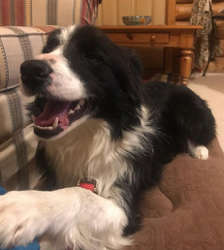 Although he was pretty anxious at first, he is settling in nicely to his foster home and is proving to be a sweet and social boy with people and other dogs. This beautiful classic girl is Daisy, and she is not yet a year old. She came to us via some other rescuers, who took her in from a rancher with her brother. 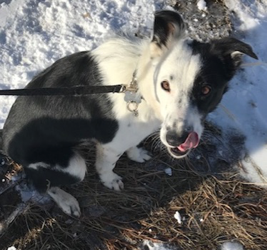 She is a happy, sweet, bright young girl but was not well socialized during her puppyhood and will need adopters who understand the breed and who will continue to work with her learning the world is a great place. 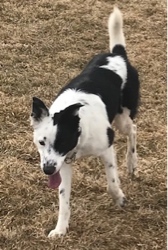 She particularly struggles interacting with some other dogs, although she has recently begun to play with one of the other dogs in her foster home. 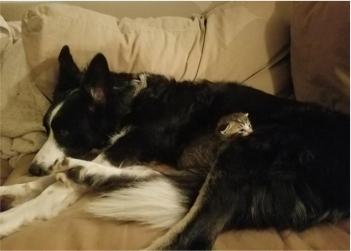 She lives peaceably with the cats in her foster home. Daisy is shaping up to be a pretty high energy girl, and like most BCs, she is super bright and loves to learn! 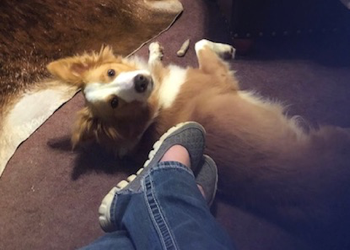 She is already house trained, crate trained, and learning the basics in her foster home. We’ll post more on Daisy, including more photos, as we learn more about her. This classic BC is Dex, and we guess he is 4 years old, maybe even younger. 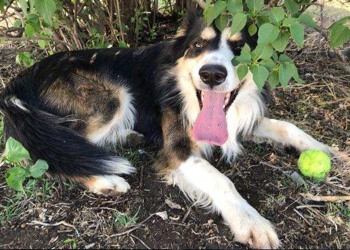 His elderly owner passed away, and family did not step up to help, so he landed in a shelter in Utah. Understandably, he was very, very scared and defensive. Although he will warm up to people, it takes him some time to trust – once he does, he’s all yours! 🙂 Dex is super bright but seems to have little experience with other dogs or cats. He will need an understanding and patient home experienced with helping fearful dogs blossom. In the right hands, Dex will grow to be a marvelous canine companion. Beautiful Echo, like True, is a holdover from before WBCR closed in 2016. Like True, she remained with a foster family all this time. She is now ready and looking for her forever home, where she can be cherished. 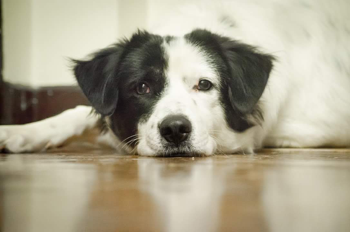 Echo is a special girl who will require a special family: she is fearful and reactive towards unfamiliar people, and like many female BCs, can be touchy with other dogs, although with careful management she peaceably cohabitates with several other dogs in her foster home. She loves her human friends and she is a total ball-a-holic. She’s got all kind of skills – housetrained, crate-trained, basic manners – and she’s not a super high energy girl at all. Echo will require a savvy, experienced owner and a quiet situation, but we know the right family is out there for this glamorous girl! Thanks to the swift action of some of our most dedicated volunteers, we were able to take in this beautiful girl to WBCR on Christmas Eve. She is sweet and timid and we are looking forward to building her confidence and then finding her the adoring family she deserves! We’ll be sharing more about her as we get to know her. This adorable tricolored red boy is Finn. 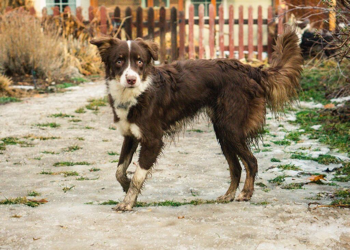 Not even a year old, Finn came to us from Idaho as an owner surrender with his mother Aurora and father Oakley. It took him a little while to regain his health and strength, but he is now feeling good and ready for a home of his own! Finn is a young pup still figuring out a lot of things about life. His existence before coming to WBCR was terribly sheltered, and he is quite an underconfident young lad. 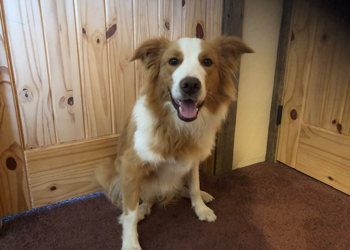 Although he lived with a family and did interact with people, it’s clear he’s had very little experience with the world and everything is rather new to him: new people, living in a house, meeting other dogs. He has come out of his shell tremendously and we expect this to continue for a while. Although he is pretty polite, it takes him a while to warm up to new people. 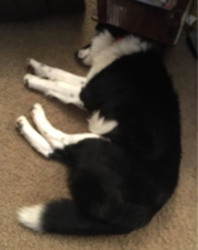 He really struggles with meeting new dogs, and although he gets along well with his mom and dad, and will play with them to some degree, he is unsure on other canines and it may be easiest for him to be the only dog in the home. That being said, he loves to play with his people, and will often bunny hop around the ball trying to get anyone to play. He’s a higher energy boy who will need a good chunk of daily vigorous exercise to be at his best! Given his past, Finny boy also arrived with few skills or general manners, but he is learning lots in his foster home! 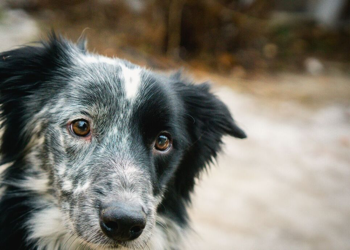 He will need to adopters willing to continue with his training, set rules and boundaries, and who will be dedicated to building this boy’s confidence at home and out in the world. 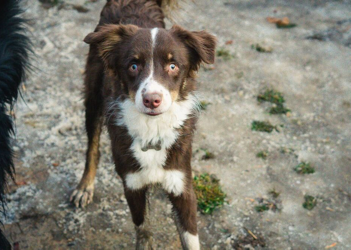 Finn is a sweet, special little Border Collie. 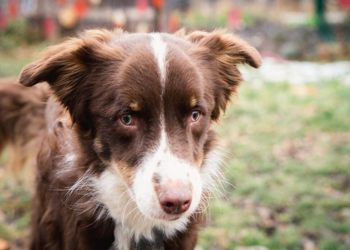 If you have a soft spot for the underdog and have the time energy and experience to help an underconfident dog blossom – Finn may be the one for you. 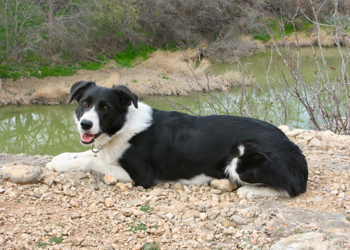 This strikingly handsome classic black and white rough coated fellow is Jasper. Just over a year old, he came to WBCR from a southwestern Wyoming shelter, completely overwhelmed with all the changes in his life. 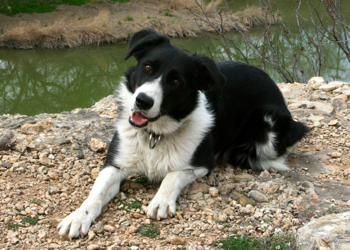 Jasper originally lived as an outdoor ranch dog, and likely didn’t get much attention or training. He has adapted nicely to his foster home and he is now showing a lot of personality and interest in learning new things. In his familiar surroundings, Jasper is a happy, playful and well-behaved boy who is an “easy keeper” and a delight to have around. Jasper is generally sociable but he is sensitive and may have had some rough handling in the past. He becomes uncomfortable in certain circumstances, such as if he feels cornered when meeting new people or when being handled by a vet. With the humans he knows and loves, Jasper is super sweet and affectionate and enjoys being where his people are – in the house, in the car or on the trail – and being in physical contact with them. Jasper’s new owner will need to work with him to help him gain trust in those situations when he feels threatened. 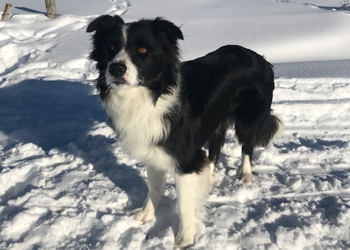 Jasper loves to go for outdoor adventures and is an ideal hiking and skiing partner for on leash and off leash excursions! 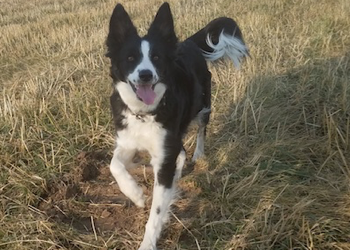 He is a young dog with moderate energy and drive so he needs a good daily dose of exercise – he’ll be happiest with at least an hour long outing daily. 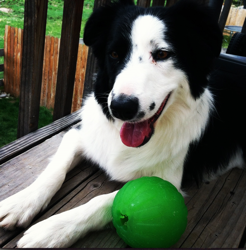 He enjoys playing with balls and non-squeeky toys and he is developing his skills as a frisbee dog! Although he seems primarily interested in people, he is quite agreeable with other dogs, although not yet interested in playing with other canines. 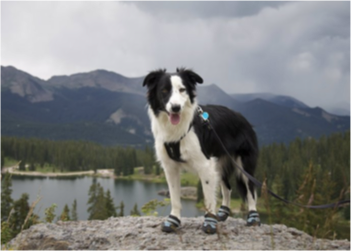 When in a low-intensity environment he is a happy, lovable boy and is at his best on a hike, a ski or a run with his person and foster sibling. Jasper is a lower key BC and probably not driven enough to be considered a dog sport candidate. 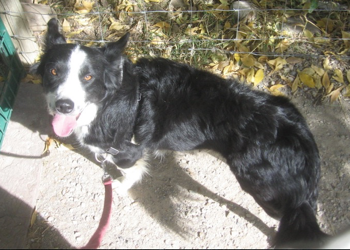 He doesn’t show a lot of herding instinct but was surrendered for chasing cows. Cats are an unknown. Jasper does show some noise sensitivities and will do best in a nonchaotic household in a quiet environment. Jasper is a well-mannered boy by nature, and is attentive and is learning more every day in his foster home. 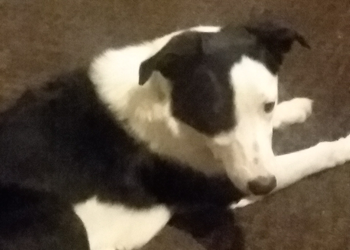 He has progressed well with basic obedience and more complex games and he has a great, reliable recall. In the house or car, he has very good manners. He is house-trained, crate trained, he loads up easily and does not bark, chew or get into things that he shouldn’t. At his foster home, he quickly earned the run of the house and the yard and is extremely trustworthy indoors, even when not attended. That’s not to say he won’t need more training attention in his adoptive home, but Jasper has a good skill foundation already. Being a sensitive fellow, he will do best with adopters who use positive, reward-based methods to teach him and help him build his confidence out in the world. 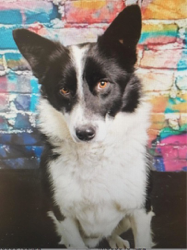 Jasper is a lovely, quiet and sensitive Border Collie who we suspect is going to continue to blossom under the care of experienced handler. 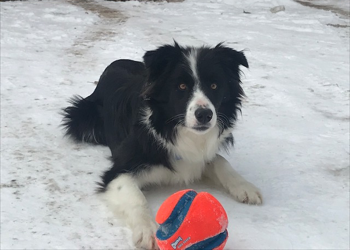 If you are looking for a wonderful and devoted companion who is easy to live with and will be your best buddy on your outdoor adventures, Jasper may be the one for you! Kona is a young, social, happy, high energy boy! More info coming soon. 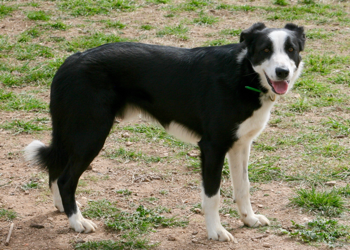 Luke and Mason are brothers coming to WBCR as well cared for and well-trained young dogs. They were bred to be top level herding trial dogs but don’t have quite what it takes to be competitive, so their family is looking to find them families to enjoy them as loving active companion dogs. Luke is a little more reserved than his brother Mason, but loves to be a part of everything his people do and is good with other dogs. More info coming soon. Being fostered in Texas but coming to Colorado in late April/early May and will be available for meets to approved and matched adopters. 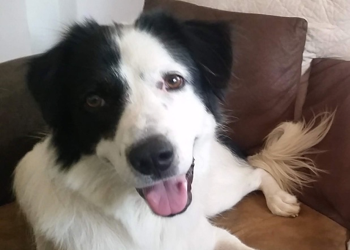 Luke and Mason are brothers coming to WBCR as well cared for and well-trained young dogs. 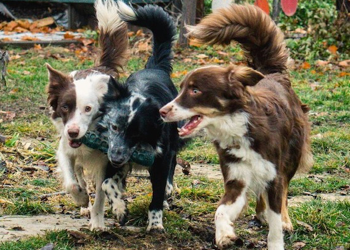 They were bred to be top level herding trial dogs but don’t have quite what it takes to be competitive, so their family is looking to find them families to enjoy them as loving active companion dogs. 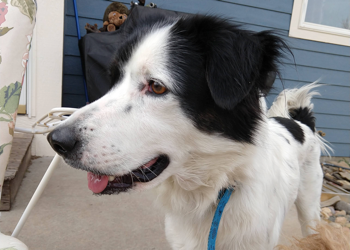 Mason is a joyful young dog who loves to make people laugh…social with people and other dogs. More info coming soon. Being fostered in Texas but coming to Colorado in late April/early May and will be available for meets to approved and matched adopters. 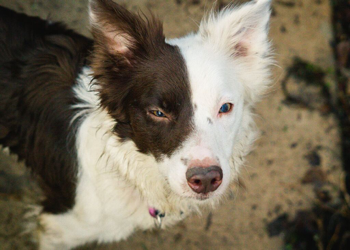 This freckled split face is Oakley – and what a sweet and trusting fellow he is! 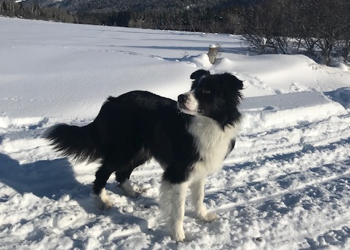 Just a couple of years old, Oakley came to us from Idaho as an owner surrender with his litter, the Z pups, as well as Finn, son from an earlier litter, and his mate, Aurora. It took him a little while to regain his health and strength, but he is now feeling good and ready for a home of his own! Despite his sheltered past, Oakley is a pretty confident boy overall, although sensitive for sure and will startle at some things. He enjoys meeting new people and he loves to be a part of whatever his humans are up to! He gets along well with other dogs, has lived with a handful of other dogs in his former home, and is a rather submissive fellow! 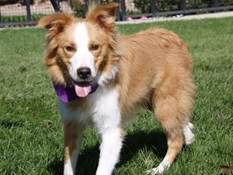 He is playful with other dogs who want to play, and also he loves to play fetch with people. 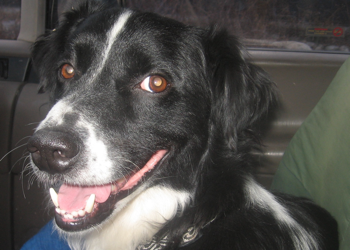 He is up for anything his people are: runs, hikes, hanging out – you name it, Oakley is game! He can go for a hike or run next to you or cuddle up on the couch while you watch tv. He shows some herdyness; cats are an unknown. 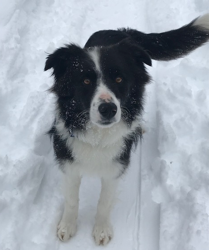 Oakley is a pretty high energy boy who will need an hour or more of vigorous exercise daily to be at his best, but after that, will be happy to settle down and cuddle with you. 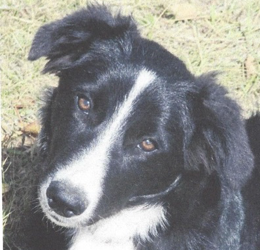 Although Oakley lived with a family and did interact with people, he arrived with few skills. He is now crate trained, almost housetrained, and working on basic manners. 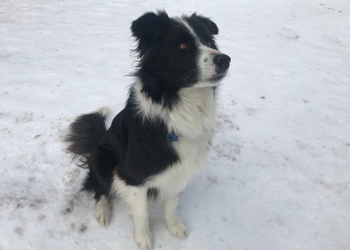 Oakley is a quick study and will thrive with adopters who utilize positive, reward-based training methods and who will continue to work with him to help him be the best canine citizen he can be. This will include building his confidence out in the world -he didn’t see or get out much in his former life and will benefit from additional remedial socializing at a slow steady pace to show him the world and all it has to offer is a great place. 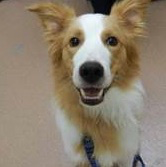 All in all, Oakley is a wonderfully sweet and agreeable young lad. He is suitable for a lot of different situations, and whatever lucky person ends up with this fellow will be a lucky person indeed! Looking for one heck of a well-rounded dog? Here she is! 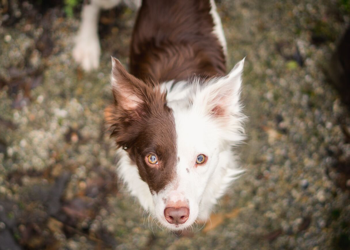 Cute little split faced Phoenix came to WBCR as an owner surrender. 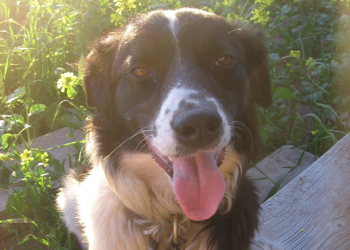 Just 2 years old, she was a well-loved canine companion who lived with two other dogs. But her family was losing their home and had to move someplace that only allowed two dogs…so Phoenix came to us. 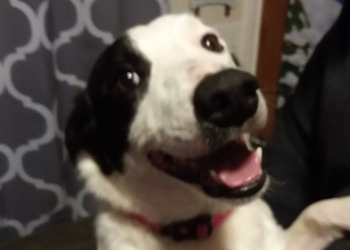 Phoenix didn’t get out much in the world in her former home, so she can be a little unsure when meeting new people. With those she knows and loves, she is as sweet as the day is long. 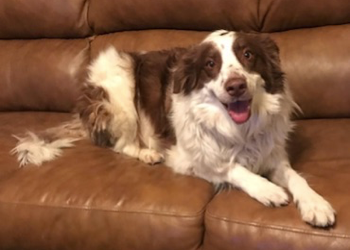 She is politely agreeable with other dogs of all kinds, and lives with two Aussies, but isn’t interested in playing with them. She can live with other dogs, or not. She has lived peaceably with cats. Phoenix loves to go for walks and is quite the fetcher! She’s just a moderate energy girl. While she enjoys going for hikes and to play fetch and romp in the snow, she is quick to settle down in the house. Phoenix lived as a family member in her former home and it shows. She is house trained and crate trained, rides well in the car. She will need some work with the basics and beyond – walking politely on a leash, coming when called. Phoenix is discovering new things in the world and quickly gaining confidence every day, but will definitely benefit from adopters who will continue to teach her the world, and all it has to offer is a great place! All in all, this little girl is quite a gem. Well rounded, sweet and agreeable, fun but not over the top when it comes to intensity, Phoenix is suitable to a lot of different situations. She is sure to make a delightful canine companion to whoever adopts her! This beautiful young girl loves people and other dogs. Ah, Pip! Such a fabulously flashy fellow, he is brimming with character to match his good looks. Pip came to us from Colorado shelter, and was bounced from home to home before coming to WBCR. 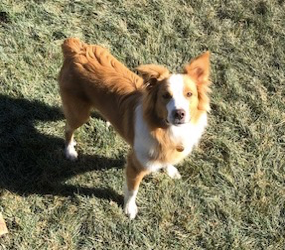 About two years old, this classically marked, flashy gold and white BC (please note – he has a docked tail) is a playful, funny, and lively fellow. He enjoys his humans and dog friends alike! 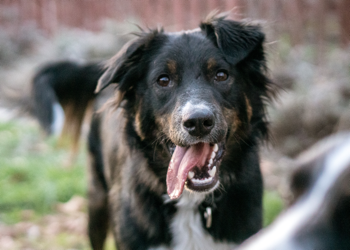 Like many BCs, Pip needs careful and well-managed introductions to strangers and new dogs – but once he knows and loves them it’s game on! 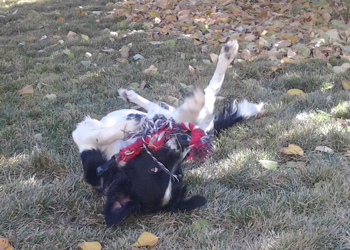 Pip adores play and toys with both people (he fetches!) and other dogs (goofing around!) but will definitely do best with adopters who will set clear and fair and consistent boundaries, and who can rein him in – he can be a lot of dog! Like most BCs, Pip also loves to learn and the sky’s the limit with this eager beaver. He is house trained, starting on crate training, and learning the basics, but boy oh boy, that’s just scratching the surface with this kiddo. All is all, Pip is another of our dogs that is brimming with potential just waiting to be tapped by an experienced BC lover. Whoever takes home this prize will, with some time and effort, be rewarded with years of delightful companionship filled with laughs and love. Ronan has just arrived to WBCR on Saint Patrick’s Day! He was picked up as a stray in western Wyoming and never claimed. He’s a smaller BC, maybe about 2, and so far has proven to be quite a sweet and agreeable fellow with people, other dogs and cats too. We are getting to know him and will post more as he starts to show us who he is! Meet Rosey! 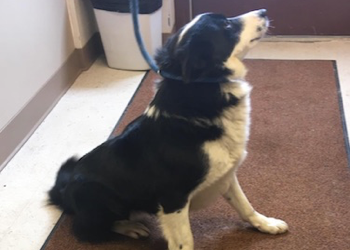 This leggy lean smooth coat just came in to WBCR from a Utah shelter. She’s only about 8 or 9 months old and we are just getting to know her. More info coming soon! This handsome split face BC mix is Theo. Originally adopted as a puppy in Thailand, Theo’s owner’s life has taken some turns and he is looking for a family to call his own. While he is certainly eye-catching, Theo is not just a pretty face! At just a couple of years old, he has many of the BC traits we love. He’s a sweet, sensitive, intelligent and observant boy – a gentle soul who is a little on the timid side. He is super affectionate but not needy with his people; he’s a little cautious about strangers and takes some time to warm up. He really enjoys playing fetch and being outside and quietly watching all the goings-on. 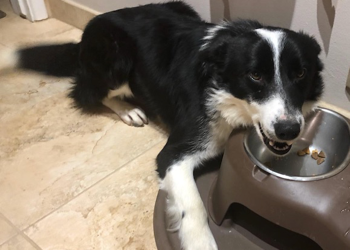 He gets along well with other dogs well and is a little playful; he could definitely benefit from having a confident and playful canine companion to horse around with and learn from but could be happy as an only dog too. Theo is not a good fit for a home with cats. Being a sensitive fellow, he will do best in a quieter and less chaotic environment with a steady routine. 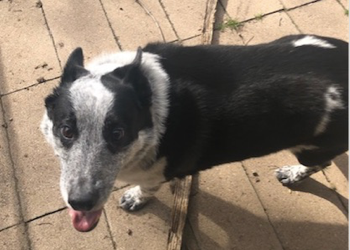 He’s just a moderate energy boy who will do best with a good outing for exercise daily.Theo has lived in a home with people all these years, so he has lots of skills, too. He’s house trained and crate trained, comfortable with being home alone, rides well in the car, and is familiar with the basics. And he loves learning tricks! Theo will do best with a family who not only continues with his basic manners education, using gentle reward-based methods but who will help build his confidence out in the world as well. All in all, Theo is a really lovely dog who will make someone a sweetly devoted and charming companion. If you the sensitive and quiet types pull at your heartstrings, Theo may be the one for you. Currently fostered in Helena, MT- but his fosters may be headed to Colorado in the near future and could bring Theo along for meets. This is True. 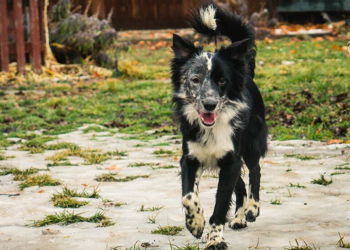 He’s an incredibly special little Border Collie. Born with deformed front legs and an irrepressible spirit, his smile can light up a room. True loves nothing more than meeting people and spreading happiness. Being a shop or office dog would probably be his dream come true. He adores kids, is great with other dogs, gets along with cats, potbellied pigs and livestock, and has become a registered therapy dog. 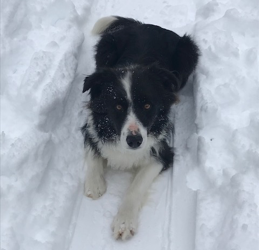 He enjoys walks, occasional hikes, and loves toys and the snow. He thinks visiting his foster mom’s brother’s family, with two kids and lots of people coming and going, is fabulously fun. True’s perfect family is out there, and if you are looking for an incredibly special little guy who brings joy to everyone he meets, we’d love to hear from you. These three little squirts are not even 8 weeks old yet, but sure are ready to take on the world! 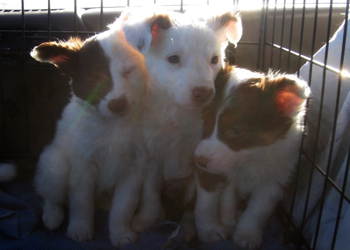 One female (the red tri) and two males (the split face and the white face). Recently arrived – more info coming soon. 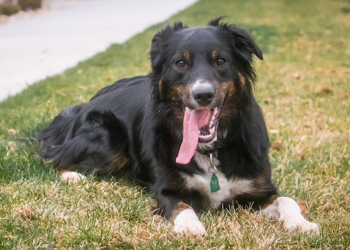 Currently fostered near Denver, CO. 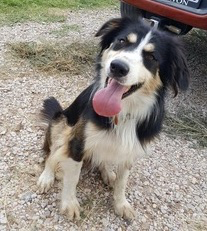 This striking young tricolor came to us from Texas, where he was found as a stray, terribly underweight. He loves people, going for outdoor adventures, and playing fetch! Rumor has it he shows working dog potential as well. We’ll post more about him as we get to know him. Wally is a sweet, well mannered, shy and quiet fellow who is being returned to WBCR after 9 years due a divorce. He has just arrived back with the rescue; more info coming soon.